IT’S OFFICIAL: Ronaldo, An Old Lady! 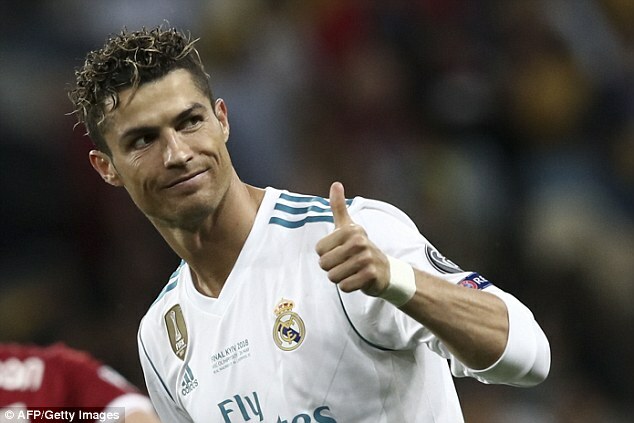 Cristiano Ronaldo has made an astonishing £88million move to Juventus after Real Madrid granted him permission to leave the Santiago Bernabeu. 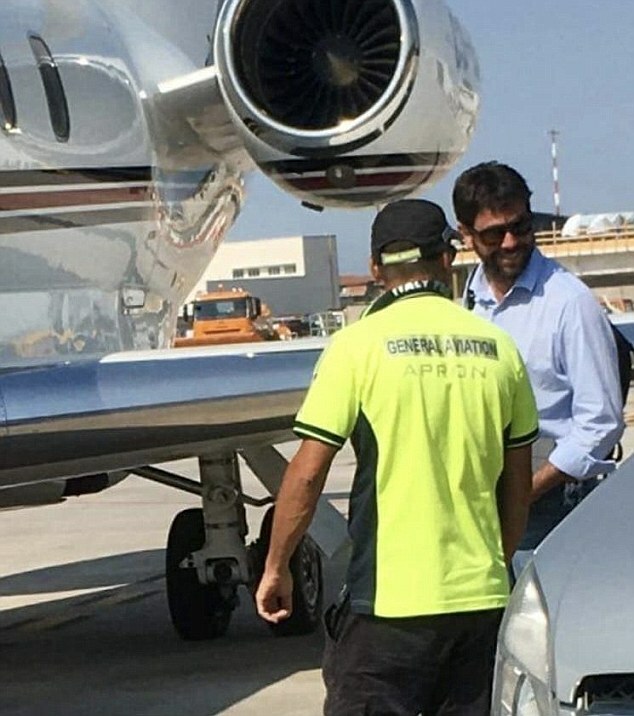 Ronaldo met Juventus club president Andrea Agnelli on Tuesday afternoon in a hotel in Greece before agreeing a four-year deal worth an estimated £500,000 a week. 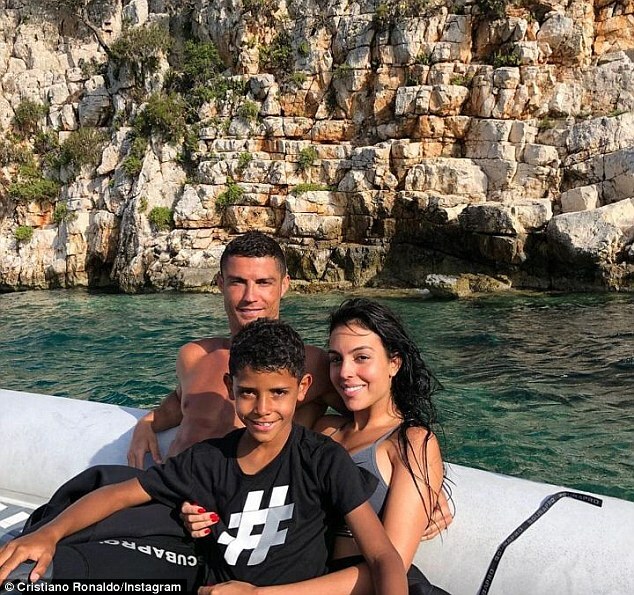 It is believed that the transfer was finalised at the meeting in Greece, where Ronaldo is currently on holiday with his girlfriend and family. In a statement, the club admitted that they had granted Ronaldo his wish to leave the club. WILL RONALDO’S FIRST GAME BE AGAINST REAL? 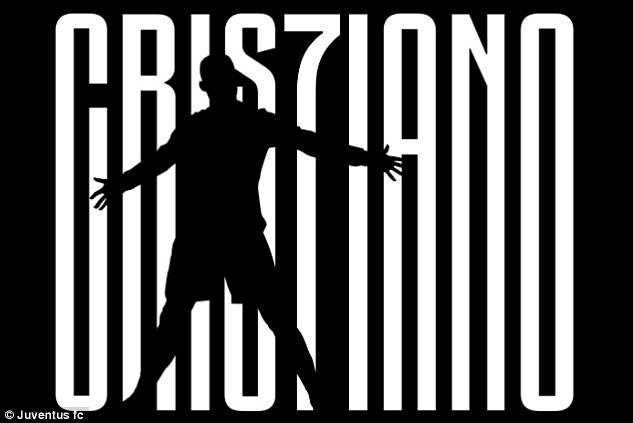 Cristiano Ronaldo’s first game for Juventus could be against his former club. The two sides meet in the International Champions Cup at the FedEx Field in Washington on August 4. 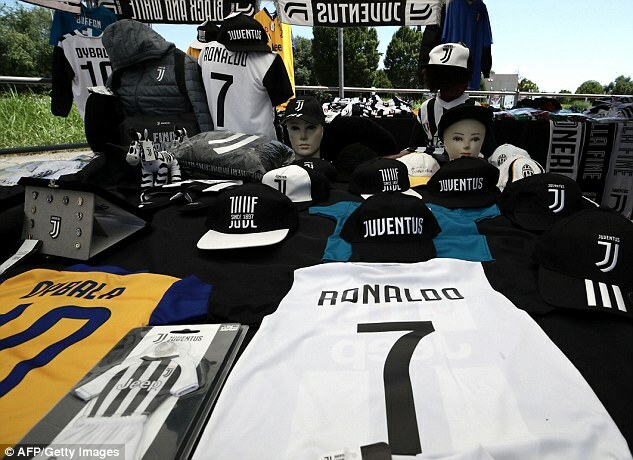 An hour after Real Madrid’s statement, Juventus confirmed the news of Ronaldo’s capture on their website. 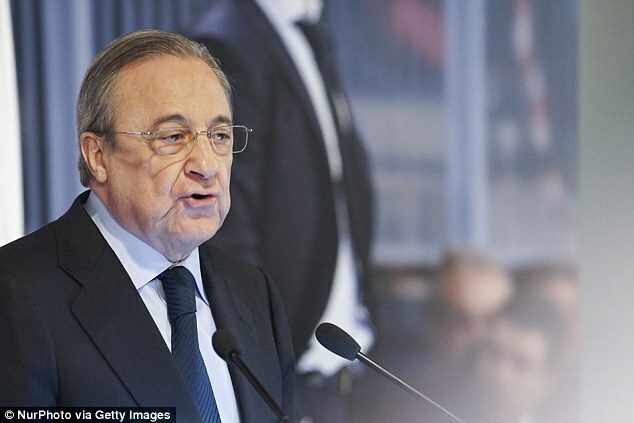 The club confirmed that £88m (€100m) will be payable to the Spanish giants, while a further payment of £10m will be made. ‘Juventus Football Club SpA announces that it has reached an agreement with the company Real Madrid Club De Fùtbol SpA for the definitive acquisition of the right to the sports performances of the player Dos Santos Aveiro Cristiano Ronaldo against a fee €100 million, payable in two years, plus the solidarity contribution provided for by the FIFA regulations and accessory charges for €12million,’ the statement read. Ronaldo leaves a legacy behind at Real Madrid littered with smashed records and a haul of trophies. 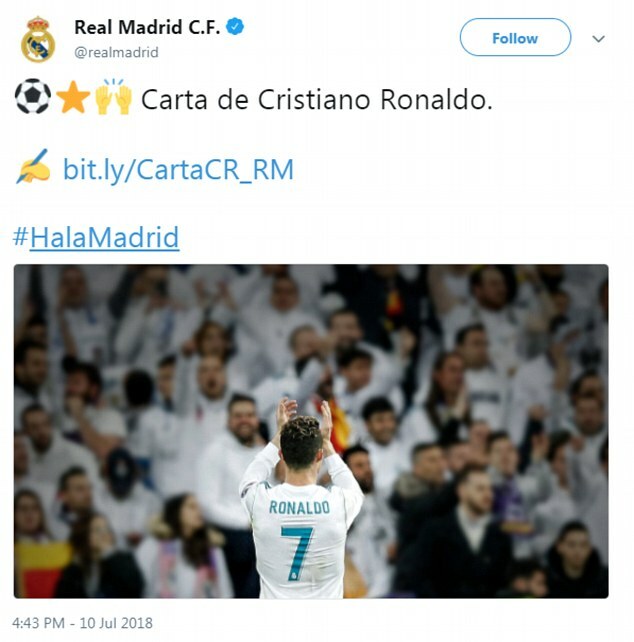 ‘For Real Madrid, Cristiano Ronaldo will always be one of its greatest symbols and a unique reference for the generations to come,’ Real Madrid’s statement added. ‘Real Madrid will always be his home’. 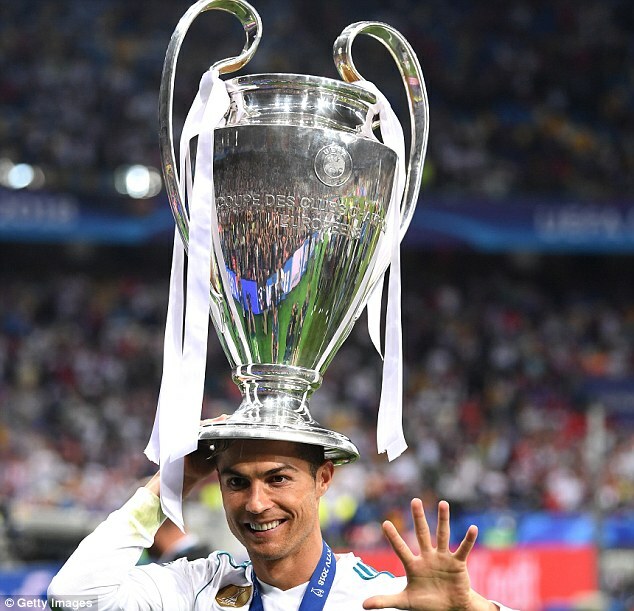 While there was success, Ronaldo also had, at times, a turbulent relationship with Real Madrid’s club hierarchy, particularly club president Florentino Perez. 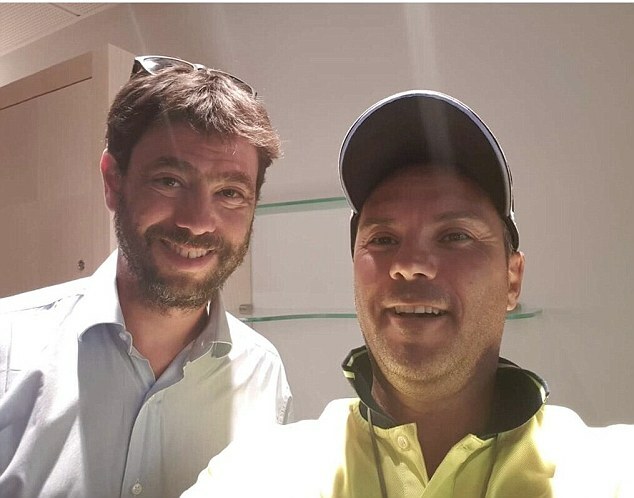 The first signs of an uneasy relationship emerged when he declared on the pitch in 2012, ‘I’m sad and the club know why’, and they reared their head again after the 4-1 win over Juventus in the 2017 Champions League final when newspaper A Bola said he had decided to leave. Ronaldo’s complaints, said to be centred around Real’s reluctance to hand him a pay rise and a perceived lack of support for him in his legal battle against the Spanish tax authorities, got little sympathy among fans or the Spanish media, however. 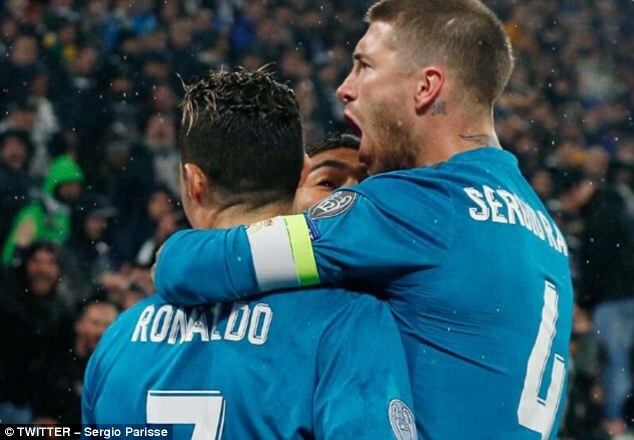 Their patience wore even thinner when he hogged the narrative after Real had beaten Liverpool in the 2018 Champions League final in Kiev by saying ‘it was beautiful to play for Real Madrid’ and re-aired his dissatisfaction with the club. It was an unedifying yet strangely fitting end to a glorious yet bumpy marriage between one of the sport’s greatest ever players and one of its most storied clubs. Ronaldo will rightly be remembered as one of Real’s best ever players, although he never quite enjoyed the God-like status he craved. 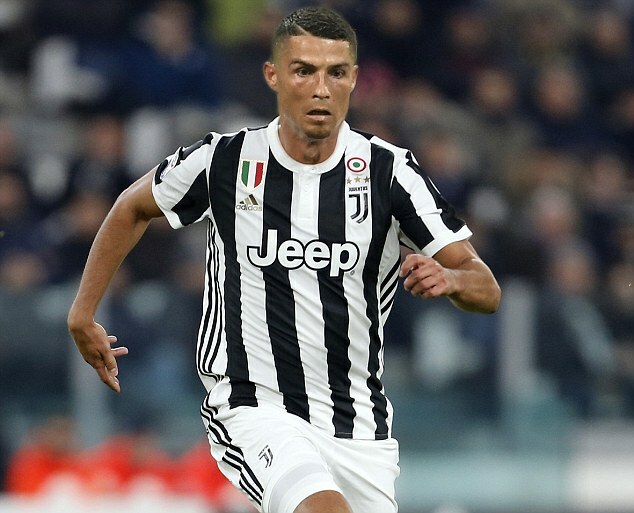 Ronaldo’s first game for Juventus could come against his former club when the two meet in the International Champions Cup. The two play each other on August 4 at the FedEx Field in Washington. 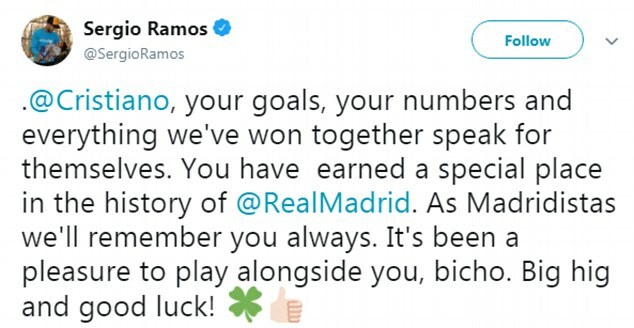 Former Real Madrid team-mates were quick to post their own tributes to Ronaldo. Sami Khedira, who played with Ronaldo at Real Madrid before joining Juventus in 2015, added: ‘Benvenuto a Torino, Cristiano. 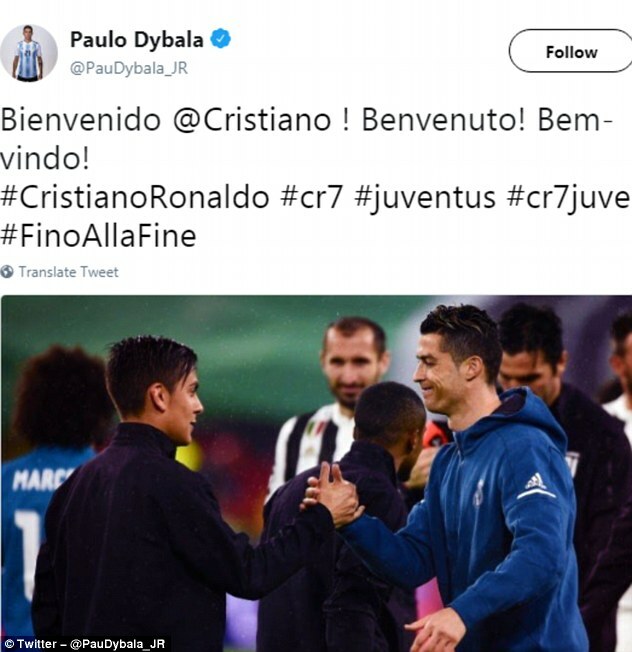 Juventus striker Paulo Dybala also sent a tweet to Ronaldo welcoming him to Turin. Former Manchester United team-mate Gary Neville tweeted how he was ‘stunned’ by the news. 4 – Champions League titles with Real, including the last three in succession. 311 – goals in LaLiga. 2 – LaLiga titles, in 2011-12 and 2016-17. 16 – major trophies with the club, also including two domestic cups, two domestic and three European Super Cups and three Club World Cups. 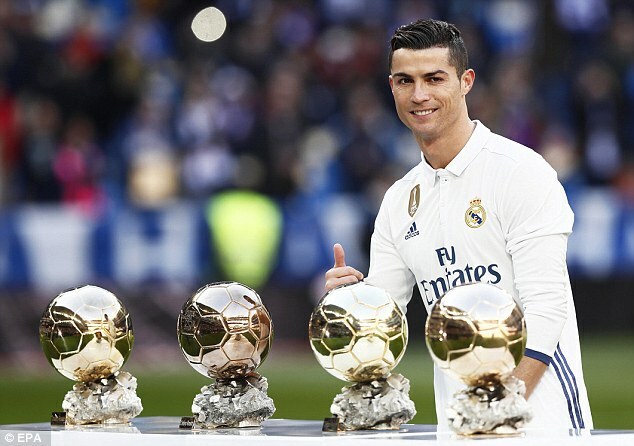 4 – Ballon d’Or awards won with Real, making five in total after he was first recognised as the world’s best player in 2008 when he was with Manchester United. 44 – hat-tricks for Madrid including a club-record 34 in LaLiga. Two came last season, against Girona and Real Sociedad in LaLiga. 8 – the Girona game marked the eighth time he had scored four or more goals in a Real match. That included five-goal league hauls against Granada in 2014-15 and Espanyol the following season. 8 – his first three goals in that 9-1 win over Granada came in eight minutes, equalling the club record for the quickest ever hat-trick. 61 – his most prolific season for Real came in 2014-15 with 61 goals in all competitions, including 48 in the league. It was the second time he hit 60 for a season. £80m – fee paid by Real to sign Ronaldo from United in 2009. At the time it was a world record. £92.7m – the reported fee paid by Juve sees Real make a profit in raw terms. 658 – career goals for Real, United (118), Sporting Lisbon (five) and Portugal (85).